Note: Services will be posted on our Web site for the previous eight weeks. 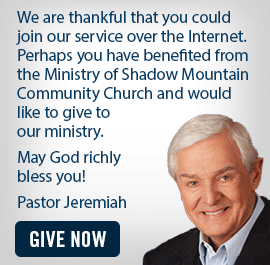 After that you can go to the www.davidjeremiah.org Web site to see the radio/TV broadcast schedule for sermon series. Please email us with any feedback on your viewing experience.